Isle of Gigha businessman Don Dennis wanted to feature the tower’s gargantuan sheer size and lay down to get this photograph looking up. The beacon should have been visible from the Lieutenancies of Ayrshire, Wigtownshire and County Antrim. Southend games committee and Mr Galbraith deserve a round of applause. CS Wind Machrihanish is a great example of what is possible. The Young Farmers raft got a boost when Police Scotland foundered and sank, motivating them to push for fifth as the officers swam back dragging their raft. 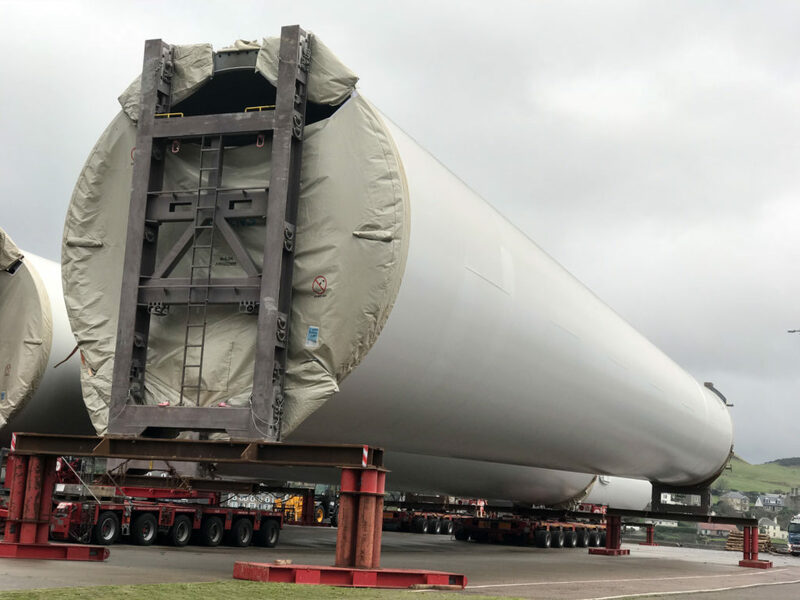 The first heat splashed into action when colossal 127m-long cargo ship, Ocean Dream, berthed beside the new quay to collect wind turbine sections, sounded her horn. The busy question and answer session which followed impressed CS staff with the children’s insightful questions. January will be a busy month at the new quay.